I used Stickles on my moon to give it lots of sparkle.I should also mention that this is actually a masked Tilda that I stamped and masked before running the the cardstock through the printer for the digi image. It took some thinking but I think I have it figured out. I am entering this in the Make it Colourful Challenge which is to use red. There is actually a lot of red in the card, but disguised and pink and shadowed. The flowers are colored with Copic Markers RV00, R83 and R85. I added some W1, W3 and W5 for shadows. Tilda is colored with Copic Markers RV00, RV02 and RV04. After I finished my background, I really wanted Tilda to have many more shadows (as it is a night scene) so I used W1, W3 and W5 to add lots of shadow. In the end, I kind of like the effect because it feels like Tilda is a chocolate bunny and I just LOVE chocolate! I added some polka dot ribbon and flowers for the Basic Grey Challenge (Dots and Spots). This is adorable! Your work is amazing! Oooohh, Julie, this is fabulous! I do like the scene you've created--that log is terrific. Awesome colouring job. Love your embellishments and the torn paper edges. Wow, is really a stunning card. The colors are so bright and vibrant. Love it! Oh, this is so delightful! Fabulous! Doesn't Zoe have the neatest images? Tilda is precious on the log and what an amazing job you did masking her on it and the moon besides!! This distressing is wonderful and the embellishments are fantastic! What a wonderful job you've done! Oh wow, how beautiful! You did an amazing job masking her and then running it through your printer! Beutiful background, and I love the way you've colored Tilda! Wowsers this looks amazing!! In love with the whole scene you have created and its coloured to perfection! Julie this is so cute - love the log and your rich colors. Oh how cute is this card Julie! I love the fraid (not sure if that's spelled right)edges. Very pretty flower and she's sooo cute in her bunny outfit!!! What a delightful card. I love the whimsical nature of the scene, bunny Tilda is precious, and her log is the "bomb"
Wow, Julie, this is what I call a work of art! You truly put some work into this one; it's so elaborated and special in so many ways. I love this cute Tilda and the digi image she sits on is just the perfect match. Lovely coloring and distressing! I just adore your card! This is adorable!! I just love that Bunny Tilda. So many Tilda's, so little money, lol. You did a fantastic job on your project. TFS!! Wowzers Julie, this is awesome! love that sparkly moon & a great job on masking Tilda with Whimiscal Log. Thanks for joining us this week at Make it colourful. What a gorgeous cute card. oh my! I love this! I love how you added the "log" along with Tilda, she looks perfect sitting there! 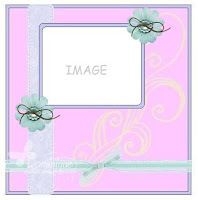 And I really like how you added all the embellishments - it just makes the card POP! Beautiful!!! Your card is very nice, artistic. I love the moon behind her and all the background colors, you did great. This ia a true WORK OF ART!!! Your colors are amazing and so vibriant. Your details are astounding! Gee this card is downright phenomenal!!!!!!!!!!! Ooooh this is so pretty! That moon behind her looks so real and the colors so rich! Fantastic! Fabulous card Julie, and what a lot of effort you have put into it. It is really adorable. Wonderful scene. You did a nice job with the coloring and composition. Make it Crafty has some fun digis, don't they? What a beautifull card Julie !! Hi! Julie your card is just soooo gorgeous,lots of lovely detail and a perfect scene-luv Tilda too. OMG Julie this is...wow...breathtaking...gosh I could spend all my time here just drinking in all the wonderful detail this is absolutely amazing and so very beautiful. OMG...Julie, what an extraordinary card!!!! That background stamp is GORGEOUS and goes perfectly with this cute Tilda bunny. Great Charity Opportunity and Chance to Win! Cute Card Thursday - #146 Out with the Old!